Kawazu-cho, Higashi Izu, is known as the birthplace of Kawazuzakura (cherry tree) and it is here that the “Kawazu Sakura Matsuri” (festival) is held every year. Kawazuzakura is an early flowering variety which blooms in early February to early March. The flower petals are big and they are a beautiful pink color. About 150 branch shops sell their special foods at the festival venue. 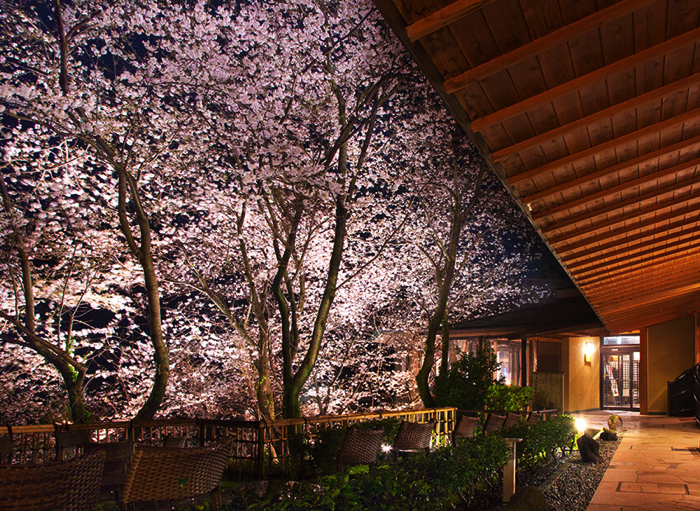 Kichijo CAREN is a place where you can view many kinds of cherry blossoms while enjoying a hot spring. 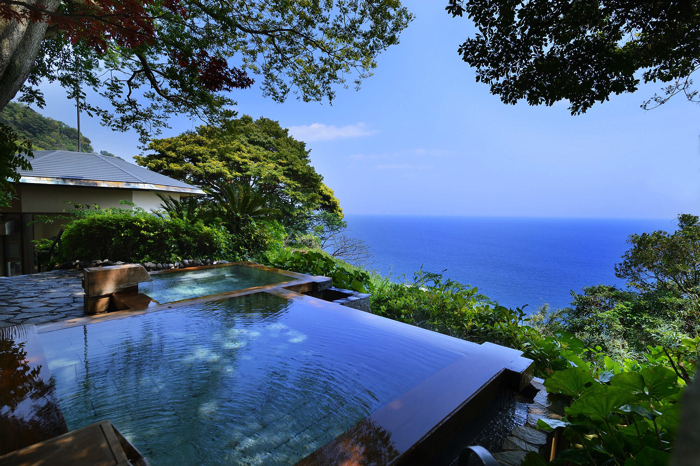 The view from “Izu Kitagawa Onsen Moon Road” which was chosen as one of Japan’s 100 famous views is gorgeous. Why not enjoy a romantic view from the guest room or hot spring. A gorgeous plan where you can enjoy the night/morning view. Special services will be offered. Late February～ Ojimazakura/hot spring “Wazuki” ※The “grand public bath” is designated as the men’s bath or the woman’s bath according to the time. 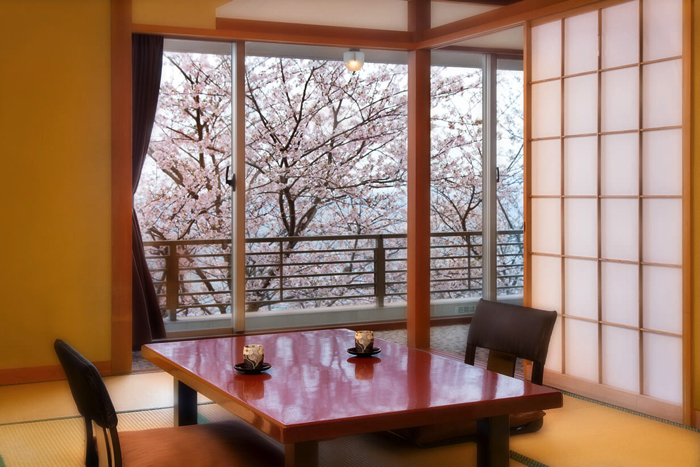 A plan where you can enjoy the cherry blossoms while staying in the guest room. 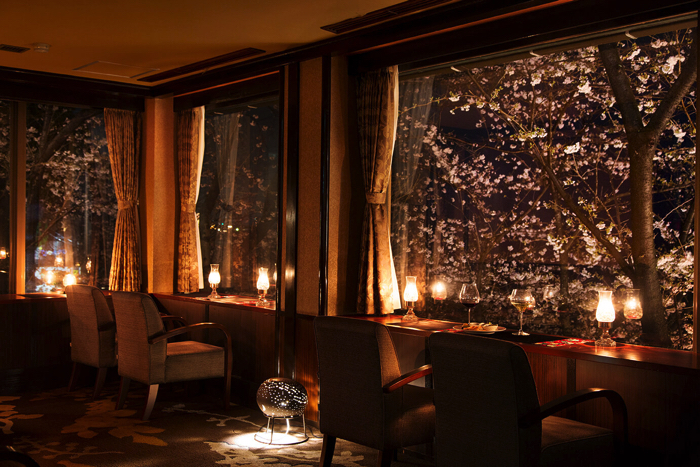 Gorgeous amenities such as cherry blossom pancakes, cherry blossom red sea bream dishes and cherry blossom aroma therapy will be offered. 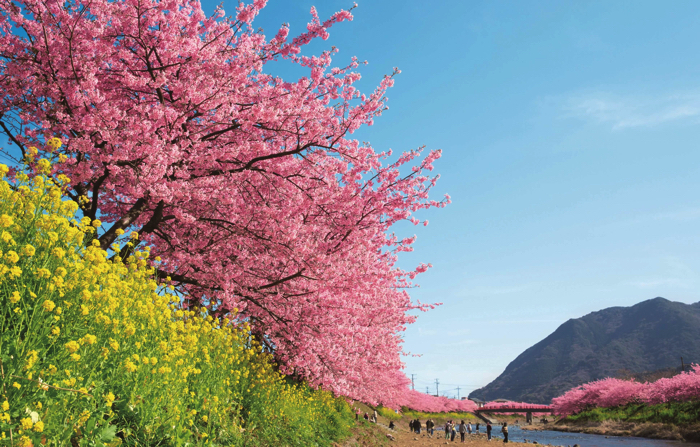 Why not visit Higashi Izu/Kawazu-cho where early cherry blossoms can be viewed? Enjoy cherry blossoms from theme park rides at Osaka’s Hirakata Park! ♡ Over 300 trees about to bloom!